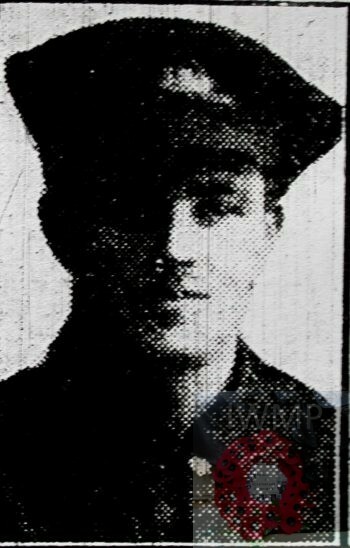 On or Since – Death Presumed: 20th July 1916; age 22; KiA. Employed at the Moulding Shop, at Orwell Works, Ransomes, Sims & Jefferies. 1901 22, Albion Street, Ipswich. Charles was 6 years old and living with his parents & siblings. Joseph Alderton, 37, an Engine Turner & Fitter, born Ipswich. Elizabeth Alderton, (nee Dines), 35, born Ipswich. John Alderton, 13, born Ipswich. Charlotte Elizabeth Alderton, 10, born Ipswich. Mildred Maud Alderton, 4, born Ipswich. 1911 24, Albion Street, Ipswich. Charles was 17 years old, he worked at a Paper Warehouse. He was living with his parents & siblings. Joseph, 48, a Fitter & Turner – Iron Foundry. Charlotte, 21, a Sewing Machinist – Stays – Corset Factory. Mildred, 14, a Sewing Machinist – Stays – Corset Factory. Ada Emily Alderton, 8, born Ipswich. Soldiers’ Effects to Joseph & Elizabeth Alderton – parents. Charles is also remembered on the Ransomes, Sims & Jefferies, Orwell Works, war memorial. 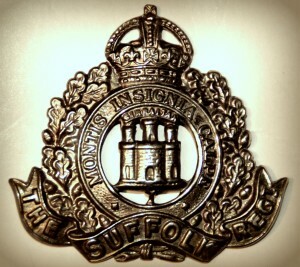 Now sited at The Museum of East Anglian Life, Stowmarket, Suffolk. 4th Battalion Throughout the 19th the heavy shelling continued. Early on the 20th the battalion returned to Shell valley, in preparation for the attack on High Wood.